Art, culture, grand cities and the Italian Lakes! Lombardia is the region of Milan where we spend our first 3 nights. The Last Supper of Leonardo, the Duomo and the Pinocoteca Ambrosiana Museum are just a few of the highlights. Three nights lake view rooms in Bellagio on Lago di Como with visits to Villas Melfi, Balbianello and Carlotta. Bergamo Alta, charming Brescia, the palaces of Renaissance Mantova and the wonderful music of Cremona are features of our inland journeys. A boat tour around the Sirmione peninsula on Lake Garda and three more lake view nights on Lago Maggiore with boat trips to the three Borromeo islands complete our journey. Mantova was founded by Etruscan peoples around the 6th century BC and in 214 BC became a Roman colony. In the 12thcentury, as an independent commune, a system of defense was created by deviating the waters of the River Mincio to form four lakes around the city thereby transforming Mantova into an island. Two bridges, still existing, consented entrance or exit. Later the city was divided in two by the construction of a canal to connect two of the lakes. In their four centuries of rule (1328- 1707) the Gonzaga family created a period of political and economic stability and changed Mantova into an artistic and architectural jewel, the city reaching its maximum splendor in the 15th and 16thcenturies. 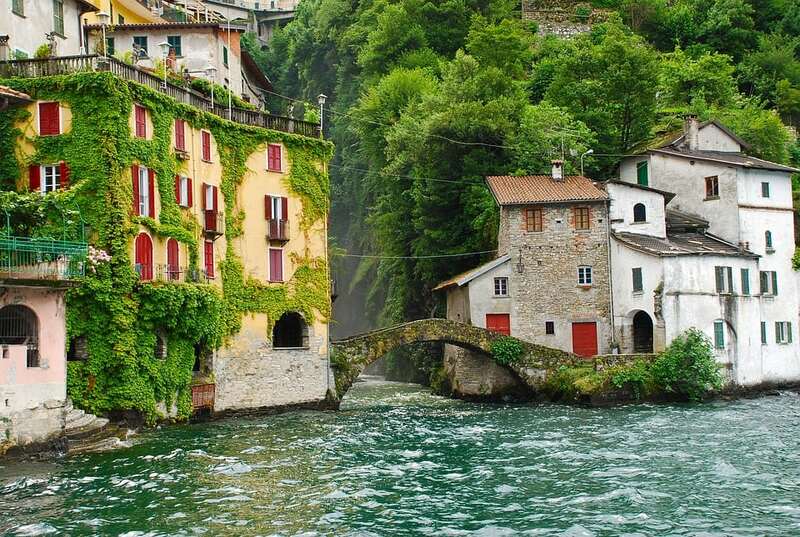 Our mid morning departure will take us to Orta San Giulio, the most populated (1,161) of the few settlements around the lake. A boat will take us to the enchanting Isola San Giulio. A wander around this picturesque tiny island (900 feet long by 460 feet wide), ringed by lovely palaces and draping wisteria vines, will lead us to the beautiful and interesting 12thcentury Romanesque basilica.